Malaysia’s Good Food & Stay Guide » Blog Archive » Free San Francisco Coffee! 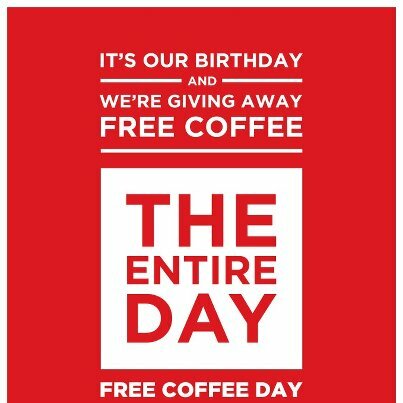 It is San Francisco Coffee’s 15th anniversary & they are rewarding all customers by giving free small coffee of the day only today! Totally No terms & conditions, just walk-in & ask the cashier where it is. For me, the moment I walked into the HP Towers branch, I saw on my left hand side a person giving out the coffee. 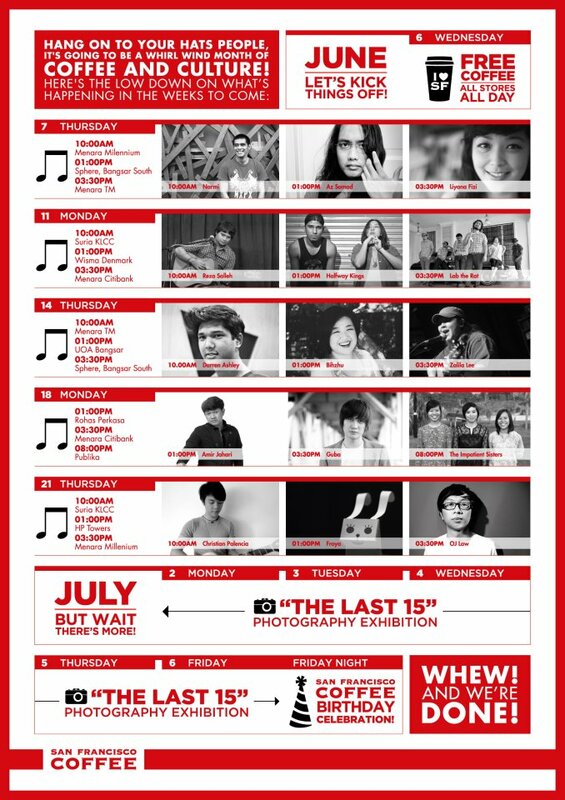 On top of that, there are local artist performances at selected outlets after 6 June. Do take note though the branch list on their facebook page is outdated. This entry was posted on Wednesday, June 6th, 2012 at 11:50 am	and is filed under Cafes, Food Promo, Heavenly Klang Valley Food. You can follow any responses to this entry through the RSS 2.0 feed. You can leave a response, or trackback from your own site. « Starbucks Happy Hour Frappuccino Promo!